This easy orange marmalade recipe is absolutely scrumptious . The aroma of orange zest in the kitchen while you're preparing it is lovely, and the taste of it on freshly baked, buttered bread is to die for! Marmalade recipes don't get any quicker or easier than this. 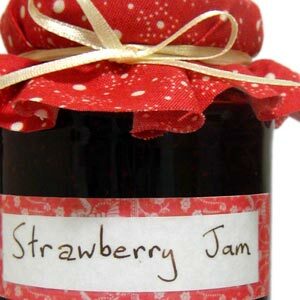 I doubt there's an easier homemade jam recipe out there. 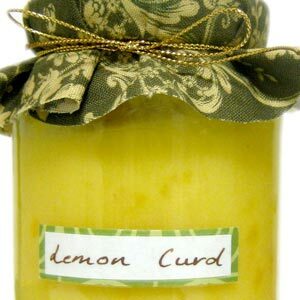 It takes only 25 minutes to make , and can be made up in small batches. You can transform those two or three leftover oranges into the most delicious of homemade food gifts. 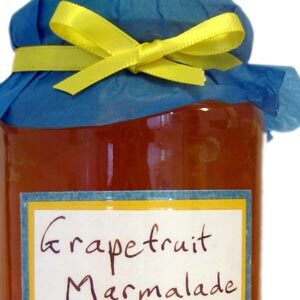 Just like our grapefruit marmalade recipe , this recipe evolved from my husband's experimentation with "Margaret's Marvellous Microwave Method" . I hope you enjoy it! 2 cups (roughly 1lb) white sugar - the same weight of sugar as the weight of your oranges once they're peeled. No need to use special jam sugar or setting agent. Oranges have plenty of pectin in them so the marmalade will thicken up nicely even with regular sugar. Use a peeler to remove a thin layer of zest from the oranges. Slice the zest thinly and put it aside. Peel the white pith away from the oranges. Remove seeds. Chop the oranges finely and put them in a large bowl along with the zest. A 3L or 3 quart bowl should be big enough. Measure out the same weight of sugar as your peeled oranges , and add it to the bowl. If you don't have kitchen scales, then just use the same volume (i.e. 1 cup sugar for each cup of chopped oranges). Microwave on high for 15-20minutes , uncovered, stirring every few minutes. Remember to stir and check on it, or it might boil over. Placing the bowl on a dinner plate will make it easier to put in/out of the microwave when it's hot. Smear a little bit of marmalade onto a cold plate and check the consistency . If it's not thick enough yet, then microwave it a little longer. While marmalade is in microwave, prepare some clean jars by pouring boiling water over them to sterilise them. 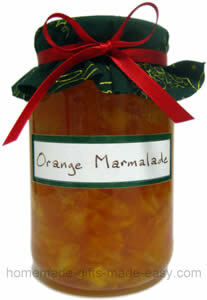 When marmalade is finished, ladle it into the jars , up to 1/2 inch from the top. Put lids on jars, and turn jars upside-down for 5 minutes to seal and sterilise the lids. Then turn upright and let cool.